Designer Reco Chapple is known for his body-conscious stretch dresses as well as his fabulous ball gowns, but did you know he’s also good at creating a new wave of male hair accessories called ‘MAN WEAVE’? Chapple recently shared a hair tutorial where he’s giving instruction to his male counterparts on keeping their fresh weave intact. Its been a lot of talk about my hair these days. In this tutorial I will show you how to take it off, clean your head, then put it back on. Yes ladies and gents! 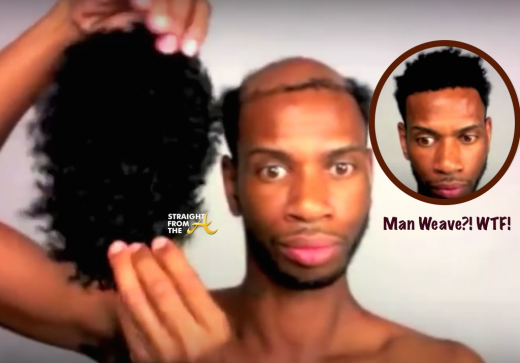 ‘Man Weave’ is official a ‘thing’ and you’ve got to see this to believe it. 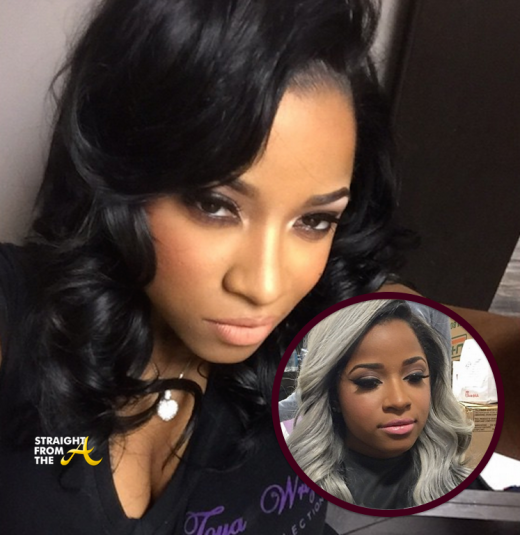 It was just about a week ago that Toya Wright revealed her new gray weave to the world (click HERE if you missed that) and now she’s proudly rocking it in a photoshoot! The hot mom took on the geriatric color change for a photo spread in designer Reco Chapple’s ‘HOC Magazine’ and it seems she liked it so much, she’s keeping it for a minute. Author/dentist/entrepreneur Dr. Heavenly Kimes of “Married to Medicine” debuted her new dating app PIQ (pronounced “peek”) for a select crowd of friends, colleagues and local singles at Atlanta’s Tongue & Groove last night (January 22, 2015). Radio/TV personality Ebony Steele emcee’d the event while Dr. Heavenly, who also happens to be a certified relationship expert, described the features of the new dating app. Claudia Jordan of The Real Housewives of Atlanta was also on hand to aid in the demonstration. The certifiably single ‘housewife, participated in an onstage “PIQ-A-BOO” dating game activity, where she asked several hidden bachelors an icebreaker question and chose the one with the best answer. Additional attendees included “Married to Medicine” cast members Toya Bush-Harris, Quad Webb-Lunceford, Lisa Nicole Cloud, Dr. Jackie Walters, Dr. Simone Whitmore, Jill Conners, Dr. Damon Kimes, Dr. Darren Naugles, Cecil Whitmore, Reco Chapple & More. 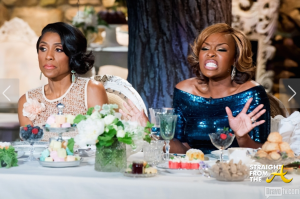 Married To Medicine‘s second season lost me at ‘hello’ but the reunion show managed to catch my attention for a few minutes last night (July 12, 2014). The ladies appeared on a set designed as a ‘shady grove’ while donned in their finest couture. Host Andy Cohen made a point of noting they were there to ‘spill tea’ and get to the root of the dissension within the group, which actually stemmed from the demise of Mariah Huq & Quad Webb-Lunceford’s friendship. Since I’m already privy to the drama, I totally lost interest to the extended on-air version but the reunion was a little entertaining considering there was nothing else on tv last night. 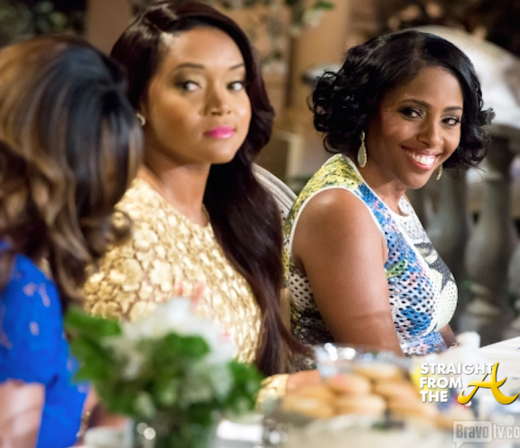 Married to Medicine aired the 12th episode of its 2nd season last Sunday and it seems that Mariah Huq & Quad Webb-Luncefored are still at each other’s throats. The ladies’ mission to have a peaceful trip proves to be impossible when their drama follows them to Blue Ridge. Tempers flare once Quad learns that Simone secretly invited Mariah along. Mariah decides to embrace the outdoors and leaves her mark on the wilderness. Later an intense relationship exercise stirs up emotions for many of the couples, leaving Jackie in tears and bringing Quad and Greg’s marital issues to a head. Quintarrius Shakir (aka @QueTheCreator on twitter) graciously offered to recap last week’s episode for me and I accepted his fine offer. Quintarrious also penned the M2M post last year about how the show depicts educated Black women and he sparked a great debate on the pros and cons of reality television.